No more worry about puller any more, strong nickel clasp and long-lasting nylon make walking ever easier. All materials are recycled and non-toxic. Choose that, choose reliability. Free rotation swivel clasp is the most favorite part for pet, which offers increased freedom to let them roam around outside. Do not want leash burns? Soft handle makes walking comfortable. What is the best leash for outdoor activities? 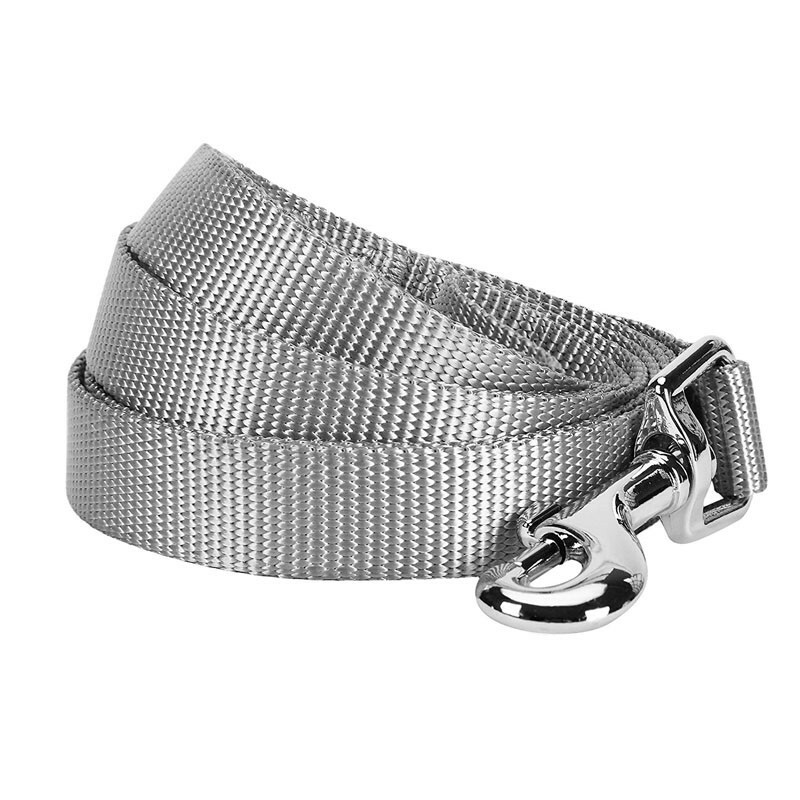 for normal use, a long flat nylon leash with the most classic design will not be a bad choice. If you haven't choose any leash for your pet before, long nylon leash will be a good option for beginner. That always is the most effective cost choice, which won't cost much but can be a good training tool for pet training at the very beginning. Loop the line around a sturdy tree can prevent your dog to roam dangerous place and get lost but can still spend time to play with you.